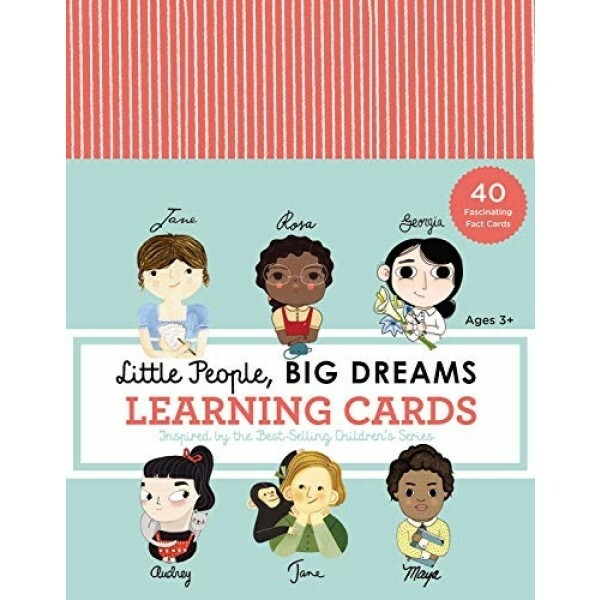 Bring 20 outstanding women, including famous scientists, writers, activists, artists, and adventurers, to vivid life with these fact cards from the internationally best-selling series Little People, BIG DREAMS! 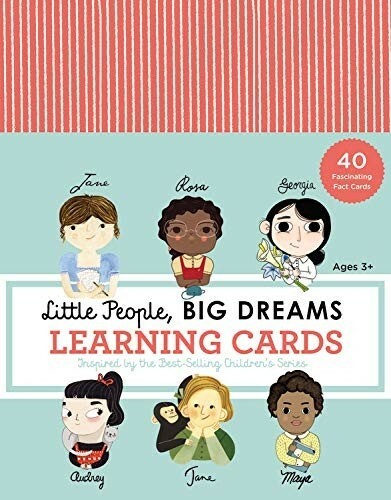 This set includes 40 colorfully illustrated cards — 2 for each woman — one with information about her childhood and one about the impact of her adult life. With the personal details and biographical facts from these cards, kids will gain a deeper understanding of these incredible influencers. The women included in this set are Maya Angelou, Jane Austen, Josephine Baker, Coco Chanel, Agatha Christie, Marie Curie, Simone de Beauvoir, Amelia Earhart, Ella Fitzgerald, Anne Frank, Jane Goodall, Audrey Hepburn, Frida Kahlo, Ada Lovelace, Lucy Maud Montgomery, Geogia O'Keefe, Emmeline Pankhurst, Rosa Parks, Mother Theresa, and Harriet Tubman.